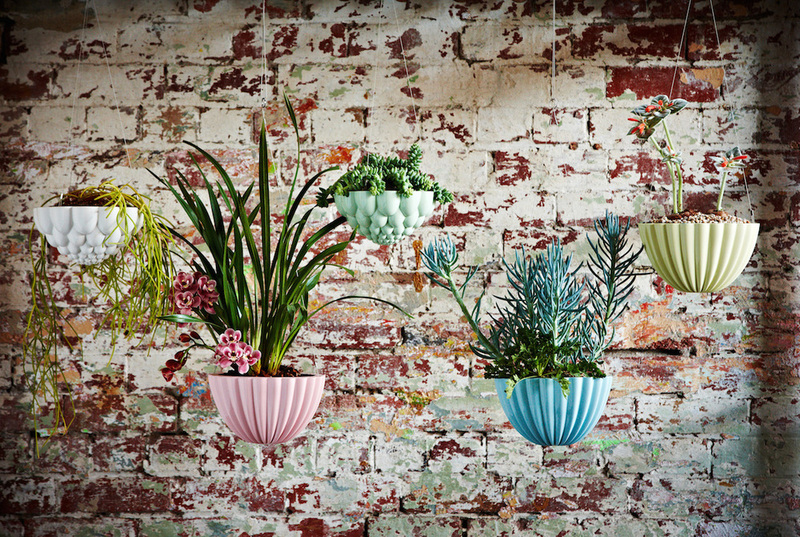 The new trend of hanging plants has taken us by storm. Create your own hanging garden right by your kitchen window to brighten your cold winter mornings. Visit our Johannesburg and Pretoria stores to get 20% discount on all our hanging plants. Scroll down to read more about Angus & Celeste's planters. Angus & Celeste began as a collaboration between Asha Celeste and Keir Angus when they finished art school, but now it has taken on a life of its own. By adding colorant to liquid porcelain before it’s fired in the kiln, they’ve created soft colors for their so-called “jelly planters” inspired by gelatin molds. On the other hand, their “hanging garden” series come stamped with patterns that are hand drawn, then stenciled onto the bowl.